My mom has always had a soft spot for animals and for as long as I can remember, she's always been there for an animal in need. Over the years, we've rescued or cared for cats/kittens, birds, dogs, lambs, calves, rabbits, and the list goes on. I can't tell you how many abandoned, stray kittens she's found on our farm and nursed to health. 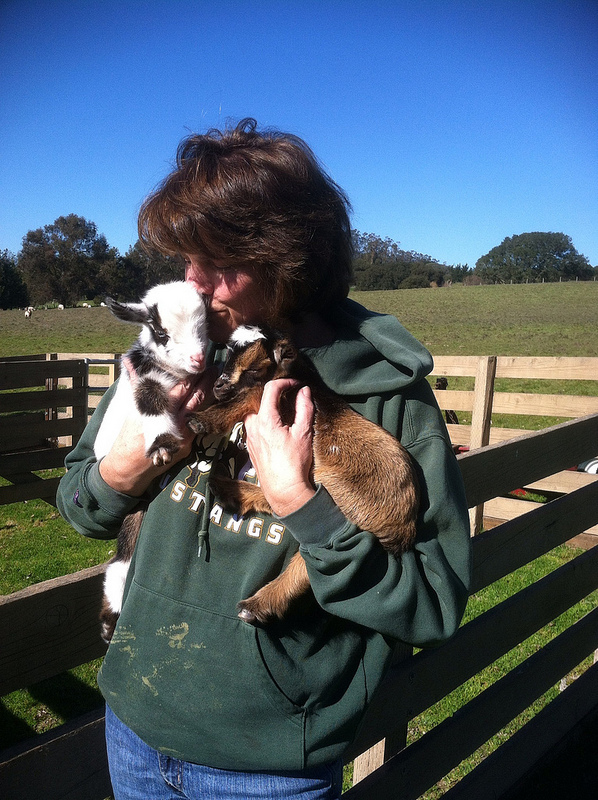 The other day, my mom went to visit a friend and helped feed some baby Nigerian Dwarf goats and Dorper Suffolk cross lambs. The goats were born on January 28th and the lamb was born on January 26th. They're super cute, so take a look at the pictures below.